"Catch The Match" is mind boggling! The eye-catching visual "Pair"-ception Game! Catch the Match is a unique and exciting, pattern recognition game - similar to hidden objects games. Catch the Match is simple to learn while still making for an exciting, brain-stimulating game. There are 15 cards that each have the same 15 objects. Each of the 15 objects is different, in different colours and various locations on the cards. Any two cards always have one (and only one) object that is exactly identical in colour and shape. All players have the same amount of time. Be the first to find the pairs and pick them out. If correct, the player takes one of the cards as a reward. How do you win? The player who recognises all 15 cards fastest or the player with the most cards, when the time runs out, wins! Challenge your friends and family, see who's the fastest. Remember that the more you play the better you will become! 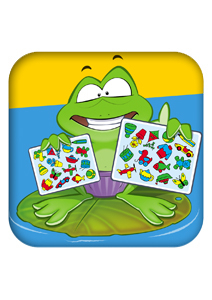 This game is great fun, easy to play anywhere and it's fun exercise for your brain! - you have children or grandchildren where their youthful mind can give them an advantage and Catch the Match will help further develop their skills! Single player mode with time bonus. Challenging multiplayer mode for two players.